With some promotions literally about to expire at the end of the month, we’ve been asked to compile a complete listing of all the promotions and incentives we are offering. These are available from numerous vendors, including Microsoft…and ourselves! Basically, a lot of people have done a lot of work to make it as simple as possible for you to upgrade your outdated and vulnerable systems. 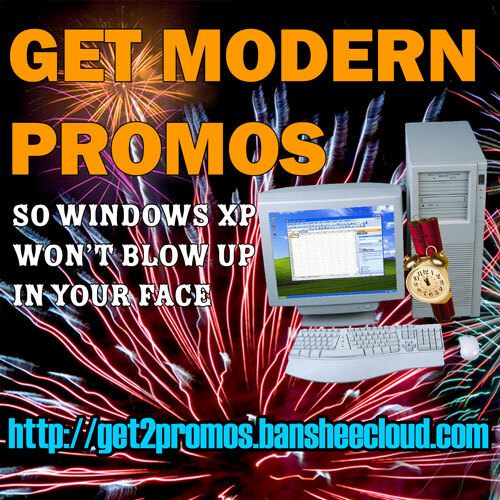 We were inspired by a Fourth of July fireworks stand flyer, because we want to make sure that Windows XP and Office 2003 don’t “blow up in your face”! Note that many of these offers and incentives can be combined and the amounts plus availability are based upon the specific upgrades and products which are best for you. We would love to evaluate your systems and requirements and see how much we can offer you!